YOU'LL NEVER OWN A MORE NEWSWORTHY JACKET. 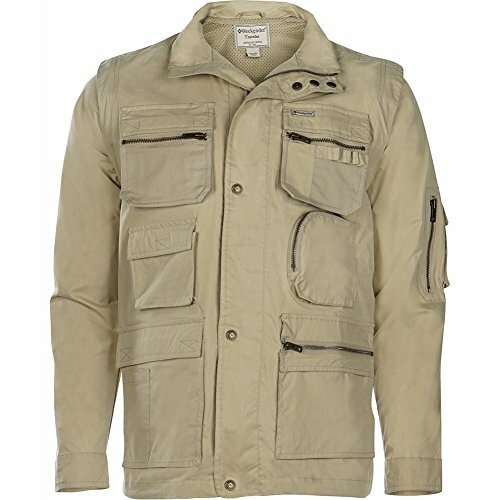 Whether in Tokyo or Timbuktu, the lightweight Correspondent Jacket has been designed to handle any assignments. Its clever organizational design allows for easy access to your passport, traveler's checks, camera, film, maps, writing utensils, voice recorder, GPS, MP3 player and water bottle. When the heat is on, simply convert the jacket to a vest by zipping off the sleeves. Lined with moisture-wicking mesh, you will be comfortable wherever you go. It's reinforced stitching and travel-tested hardware will endure many lifetimes of journalistic intrigue. If you have any questions about this product by Weekender, contact us by completing and submitting the form below. If you are looking for a specif part number, please include it with your message.